The soldiers of the COG have to hoist some pretty hefty weapons, and those Locust certainly aren’t going to rip their own heads off. This war calls for bulk, and lots of it, so it’s time to grab some weights and set up in the nearest derelict ship or underground bunker. 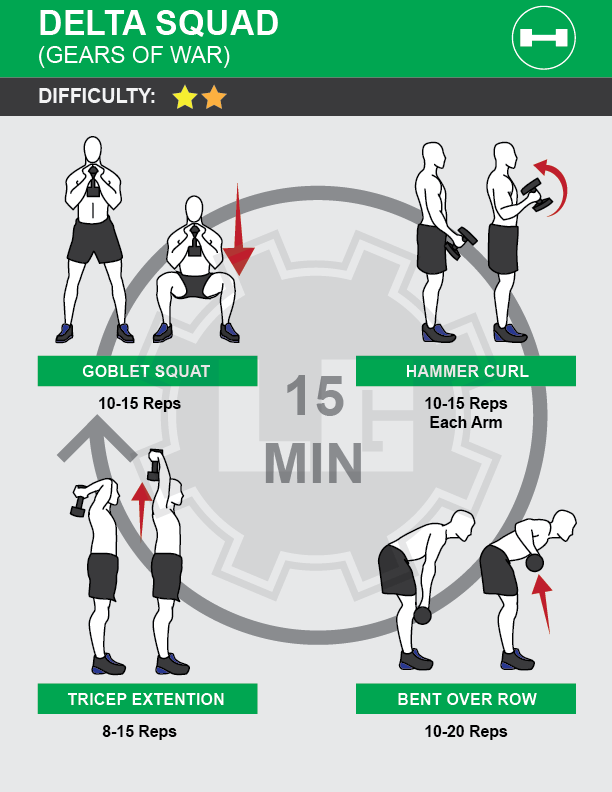 This routine targets your arms and shoulders, to help build up the bulk you’ll need for those close encounters and chainsaw kills. Perform these exercises as a circuit, resting as needed between circuits, for fifteen minutes. Equipment: Two light-medium dumbbells, weighing fifteen to twenty pounds.